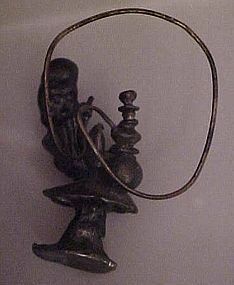 Spoontiques pewter clown figurine is 2" tall, gold plated with enamel decoration. The clown holds a faceted swarovski crystal ball in each hand. He is probably a juggler. Dated 1985. EXCELLENT CONDITION. No chipping or paint loss. 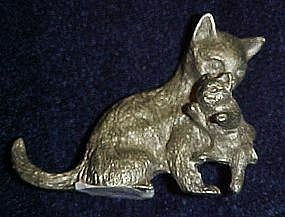 Little Pewter Mamma cat carrying her kitten, figurine by Spoontiques. Mamma has the baby kitty in her teeth. 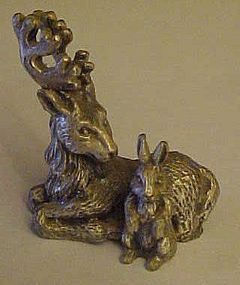 Marked Spoontiques Pewter. 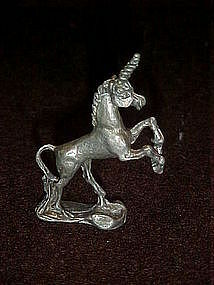 Measures 1 3/8" tall and 2 in. long. Perfect condition. 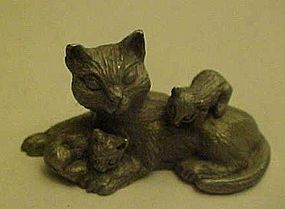 Little Pewter Mamma & kittens figurine by Spoontiques.Mamma and two kittys, one playing and one sleeping. Marked Spoontiques Pewter P-182 dated 1981. Measures 1 3/4 in.long.